Who said that Brussels and the European Institutions are places for cold bureaucracy and economic reasoning only? We met with Paolo, Ieva, Diego, Adrian, Karin and Nico, who prove that the seeds of ecology, sustainability and active citizenship can sprout everywhere – even in the not-so-sunny Brussels’environment. 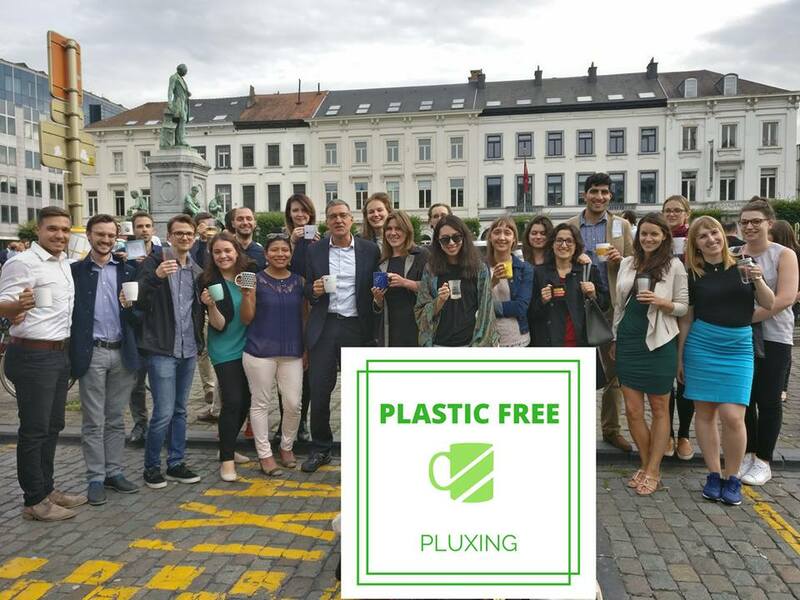 During their traineeship within the European institutions, they launched the Plastic-Free Plux project to reduce the amount of single use plastic cups going to waste. Every Thursday evening, some hundreds people, mainly young professionals from the EU bubble, gather in Luxemburg Square (the so-called Plux), right in front of the European Parliament. Some go there for a networking drink, some to celebrate a profitable week some others to forget a bad one. They all get their drinks in single-use plastic cups, and every Thursday a huge amount of plastic cups is thrown away. Paolo and his colleagues report: “after the first Thursday of ‘Plastic-free Plux’ we counted 50 trash bags full of plastic waste”. 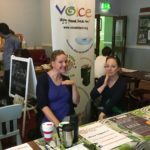 They know that single-use plastics is a major problem for the environment, since it is hard to recycle and it is used massively and in various forms in our everyday life. 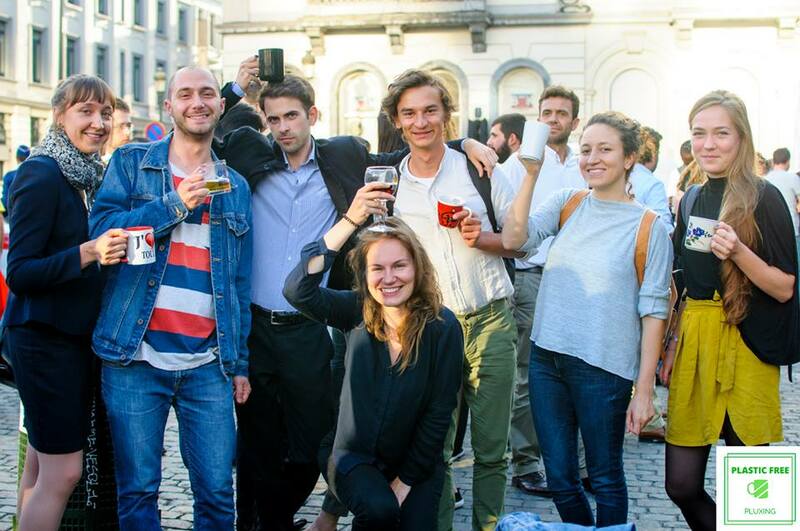 The idea of the organizers of Plastic-Free Plux is to incentivise people coming to Plux to bring their own mug or reusable cup from home: if they do, they enjoy a discount of €0.50 in what they consume, thanks to an agreement with the bar owners. 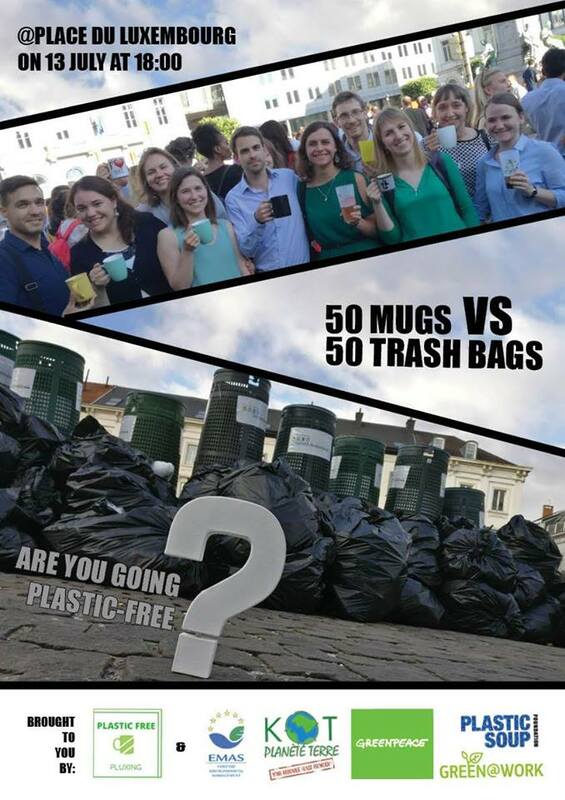 At the beginning, their goal was to raise awareness about the single-use plastic and alternatives and, subsequently, for the fifth and last edition, of Plastic-Free Plux, they adopted an ambitious target: to attract 50 people with mugs on Plux, one for each of those 50 trash bags they found at the first edition. They reached the remarkable amount of 41 mugs that fifth night. Besides the awareness-raising initiative, Plastic-Free Plux believes that the best long-term alternative is introducing a deposit scheme for solid, reusable cup system on Plux. Despite of the very short time-frame of the activity (from June to July 2017), they succeeded to communicate with the Mayor of Ixelles and gain the support of some environmental NGOs (Plastic Soup, Kot Planète Terre, Greenpeace Brussels, and of course Zero Waste Europe). Despite the fact that many public events in Brussels are already eco-friendly, in the sense that they provide reusable cups on adeposit scheme, e.g. 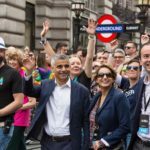 Bruxelles Les Bains and Brussels Summer Festival, on the average the city lacks a broader strategy for zero waste events. Thus, the majority of social gatherings, which take place at neighborhood level, characterized by the regularity in time and internalization into the everyday life, are still waste intensive. Third, you need to believe in the cause, that what you are doing is something good for the environment and for the people around you, and that it can be a success. If your attitude is positive and your actions show your confidence and your faith in the cause, people will notice it and join you as well. The support we received outweighed the inevitable negativity we sometimes observed”. Marco graduated in International Relations in April 2017 at the University of Bologna - Forlì Campus. During his studies he developed a keen interest about environmental issues which led him to run into representatives from Zero Waste Italy and, subsequently, to move to Brussels for joining Zero Waste Europe. Marco is committed to the Zero Waste vision.